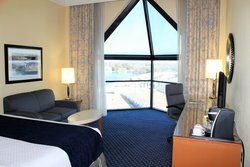 Enhance your stay with a gorgeous panoramic view of the Hampton Bay. 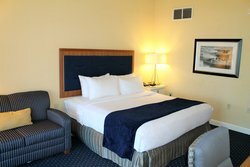 Enjoy a comfortable night’s sleep in a king bed with plush linens and lots of pillows. 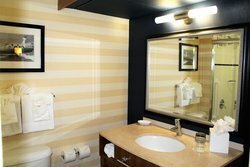 Start each morning with in-room amenities such as a fully-tiled shower, coffee maker, and conveniently-placed charging stations. Catch the news on the 32” flat-screen TV with HBO while lounging on the loveseat within your room. 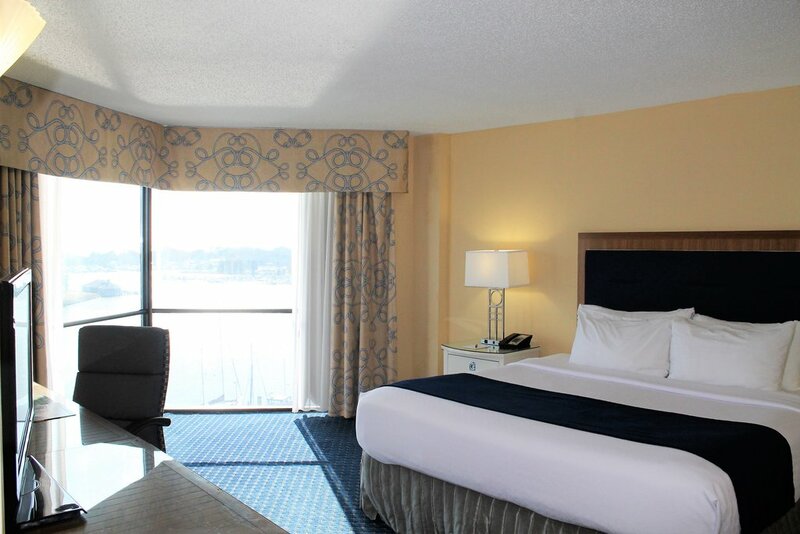 Work at your executive work station with complimentary Wi-Fi. Store cold drinks in the fridge or enjoy a hot cup of coffee from your personal coffee machine. 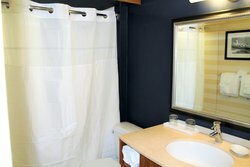 Complete with a stunning view of the marina and a bathroom with a tiled shower, the King Room with a View offers business travelers and couples the perfect place to stay.